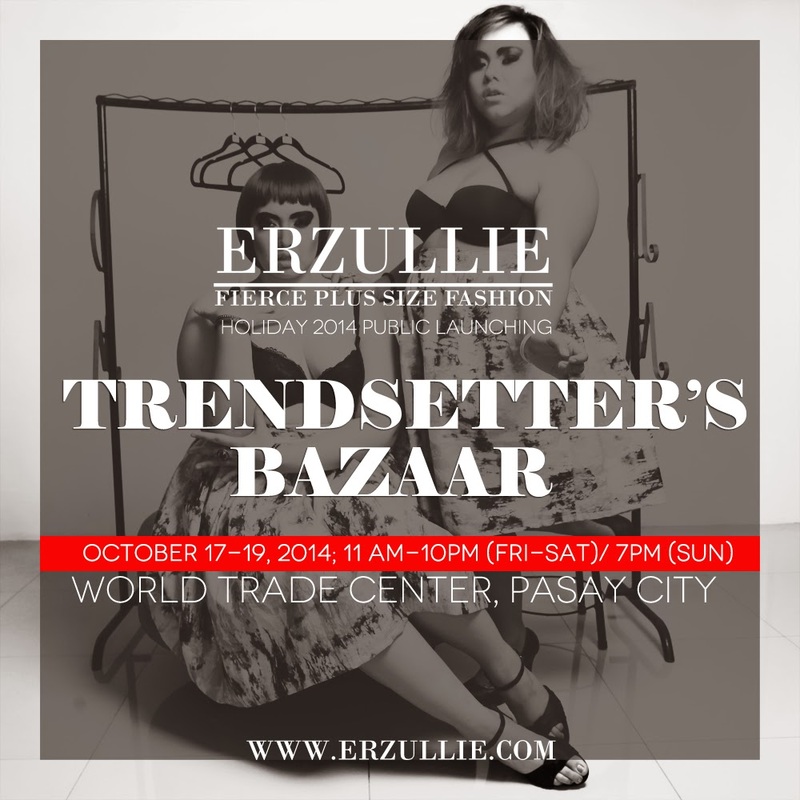 PLUS SIZE EVENT: ERZULLIE IN TRENDSETTER’S BAZAAR (OCTOBER 17-19, 2014 AT WTC, PASAY CITY)! Erzulliestas! The Erzullie Holiday 2014 collection will be publicly released at the Trendsetter’s Bazaar on October 17-19, 2014, 11AM-10PM (FRI-SAT), 7PM (SUN) at World Trade Center, Pasay City. Be there and get styled by our personal shoppers and enjoy 50% off on selected items. Get ready for a unique bazaar experience as Trendsetter’s is known for amazing indie fashion designer finds! So if you are up for some original goods and celebrity sightings, you better be there! I think many plus size women can relate to this. 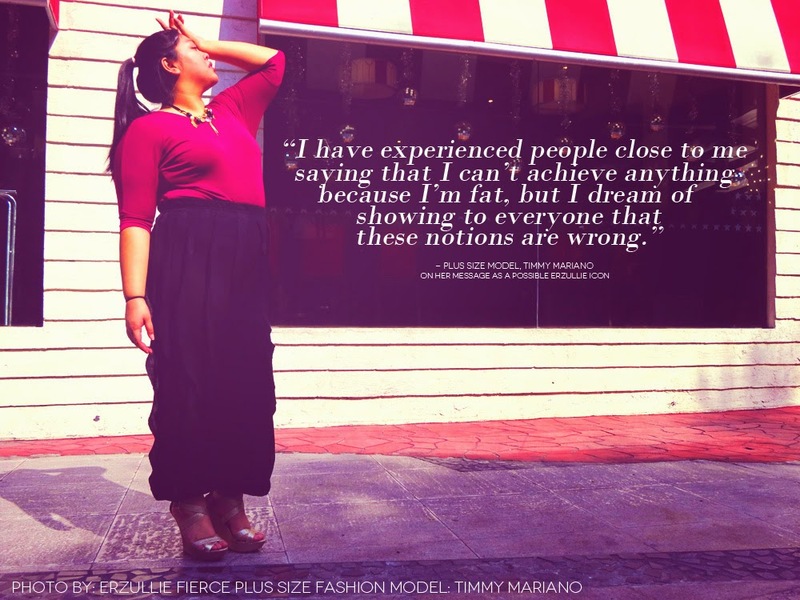 In her confession, “The Emancipation of Timmy Mariano”, this plus size model (Timmy), stated that she had people close to her that told her she can’t achieve anything because she is fat. But then again, she is an Erzulliesta and she is determined to prove it otherwise. Just remember ladies, success and size may have some common letters but their definition and how it’s achieved are all but separate paths.